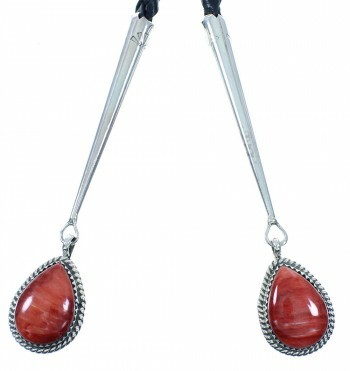 Bolo piece measures approximately 2-7/8" long and 2-1/4" wide. The Tips measure approximately 3-1/4" long and 5/8" at widest point. The total measurement of the cord is approximately 41-7/8" long. 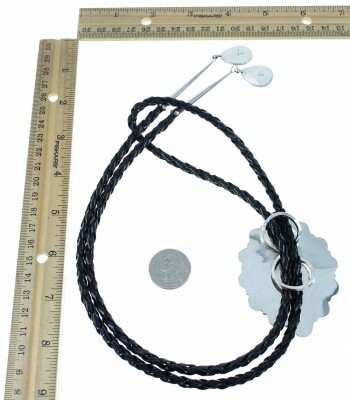 The bolo tie weighs 67 grams. 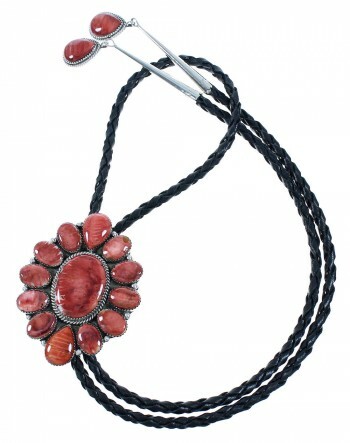 This lovely bolo tie will definitely attract plenty of attention! 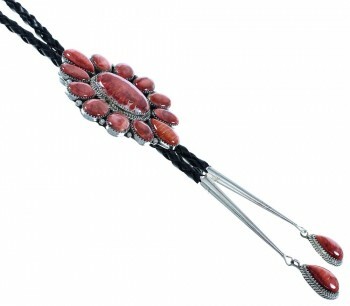 This piece of Native American jewelry is Navajo, hand crafted out of genuine sterling silver and real Red Oyster Shells. The Bolo piece has THIRTEEN shells while the dangles on the tips have a total of TWO stones (one in each) that are delicately set in hand cut bezel settings. The bolo tie has a total of SIXTEEN stones. The bolo piece and the dangles are accented with mini silver beads, twisted silver, and imprinted designs for a gorgeous look! 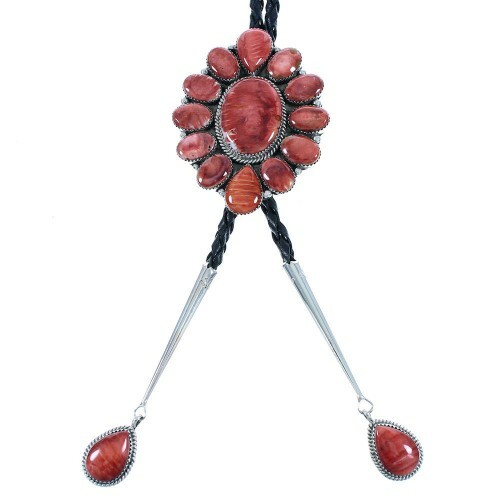 The Bolo piece is stamped sterling and hallmarked.